Duration 12 hours for the one day tour. I will pick you up at your accommodation (anywhere in KZN) early in the morning and drop you off safely at home at the end of the day. 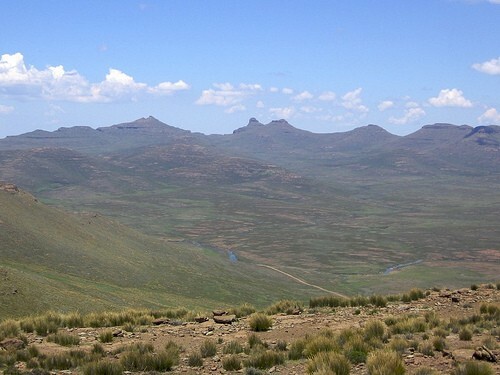 This Sani Pass Tour is one of the most popular day tour adventures in KwaZulu-Natal and many visitors describe it as the highlight of their visit to SA. Most tour operators take their customers to Underberg and hand them over to a tour operator there. 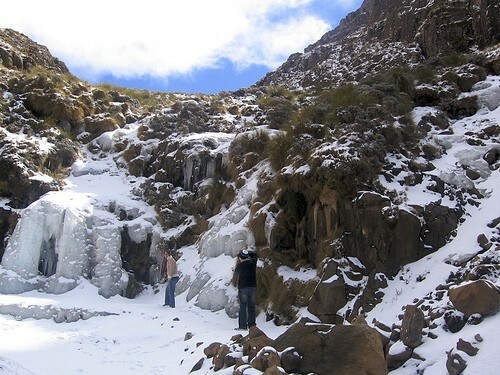 I will be with you from the start to the end of the tour, ensuring that you get the maximum benefit of the trip, including the drive up Sani Pass in my luxury SUV. I have been showing off this fabulous area to visitors for years and many of my customers regard this tour as the highlight of their visit to South Africa. It is also one of my personal favorite trips and I have plenty of fascinating stories to tell you about the area. The mighty Ukhahlamba Drakensberg Mountain range is a world heritage site within easy driving distance of Durban and most of KZNatal. 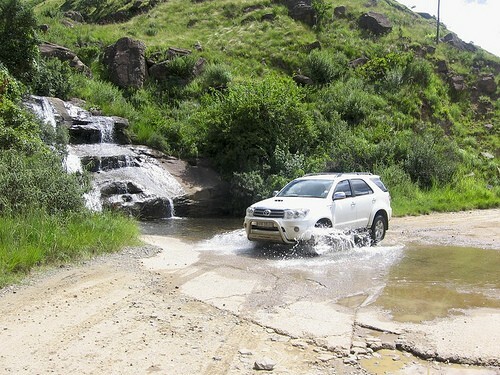 This Sani Pass Tour is one of the most popular touring adventures for young and old as we use a suitable 4×4 vehicle to ascend Sani Pass to a height of 2874 mts (9400 ft). 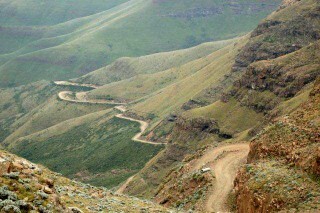 We pass through a border control into the Kingdom of Lesotho, also known as the “Roof of Africa”. You will need to bring your passports. The day will be spent exploring this fascinating country of Lesotho with its remote African tribes and shepherds while admiring some of the most breathtaking scenery in Southern Africa. We are at the highest point in Southern Africa after Kilimanjaro and take lunch at “The Highest Pub in Africa” looking down on the birds and into Southern KZNatal. Click here for the Sani Pass photo gallery. I’ll answer any questions or take bookings through the form below. Thank you so much for the fantastic trip up to Sani-Pass. I was totally bowled over with what we experienced and it was definitely a case of “seeing is believing”. Can definitely recommend this trip. 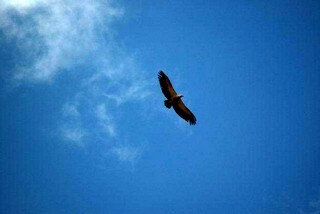 Our visit to Sani was unforgettable and will remain vivid in memory long after other experiences have dimmed with time. Besides, you were an outstanding guide! I just wanted to thank you for such an awesome experience yesterday, really feel on such a high today from it. The people of Lesotho are amazing and the mountains just beautiful. You were really great, so accommodating and we are all so glad that we shared this experience with you. Click here for more customer feedback.